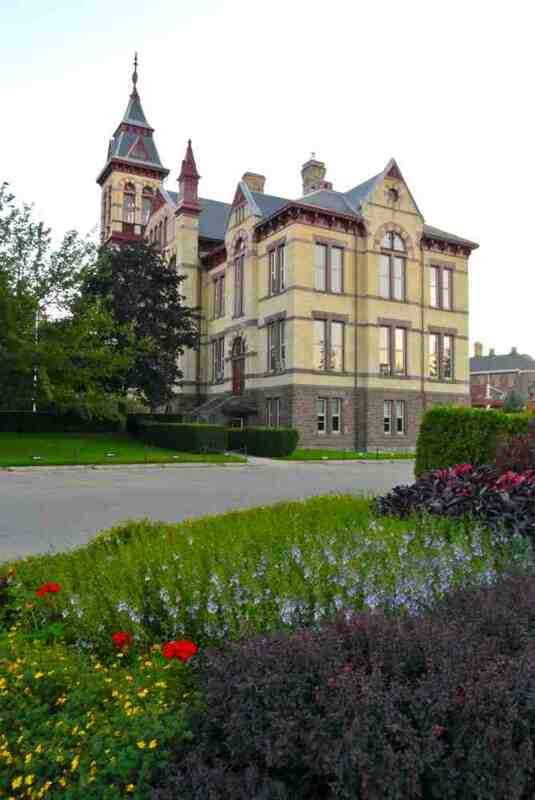 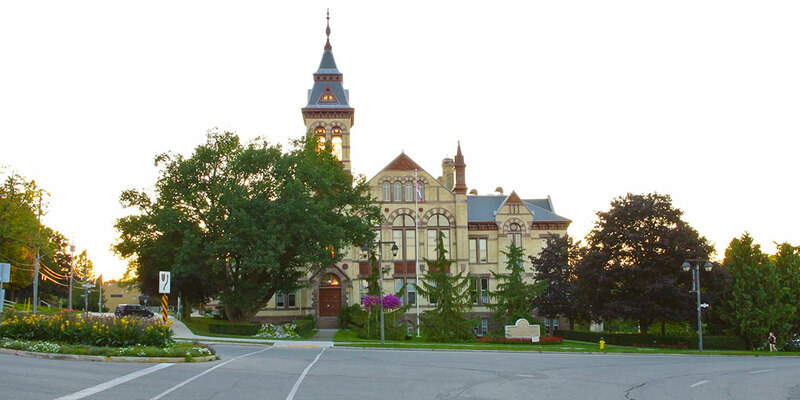 NA Engineering Associates Inc. was retained by the County of Perth to provide roof consulting services for the historic Perth County Courthouse in Stratford. 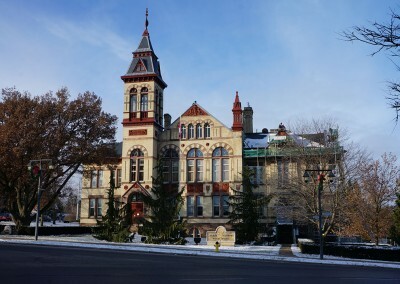 The Courthouse opened on May 9th, 1887. 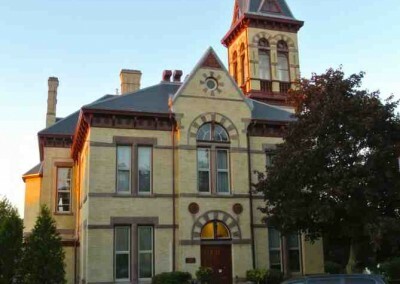 The original slate tile roof remained in place until 2013 which served the facility for over 128 years. 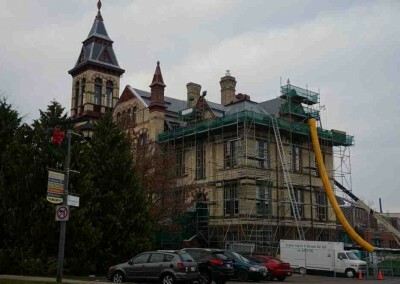 The first part of the project involved a condition survey of the existing roof. 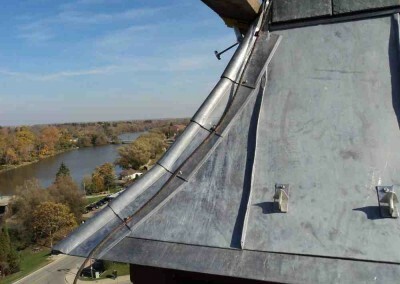 The original roof had reached and well exceeded its anticipated life expectancy. 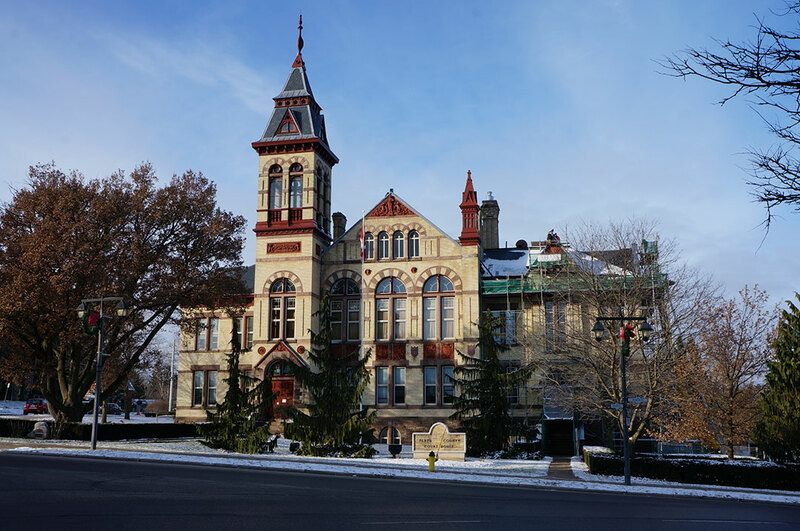 Many different roofing type applications/materials were explored for replacement but slate tile was always the preferred replacement material. 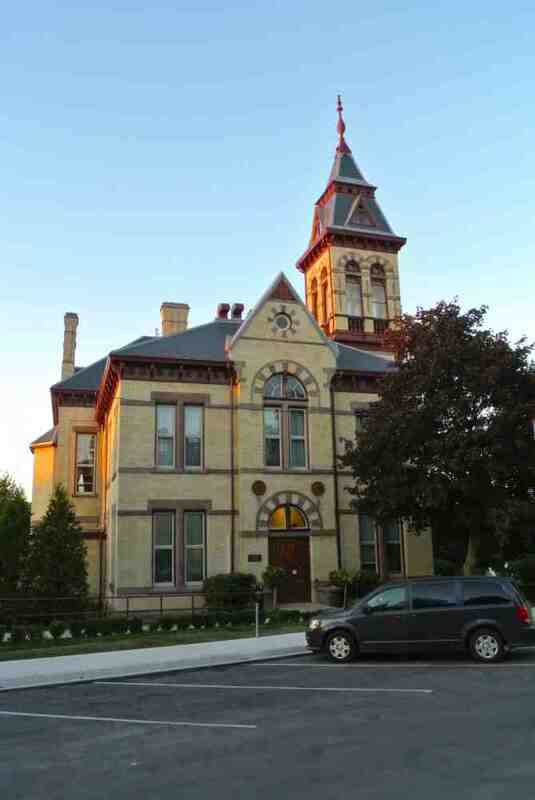 Detailed specifications and drawings were prepared and the slate tile roof replacement was publicly tendered. 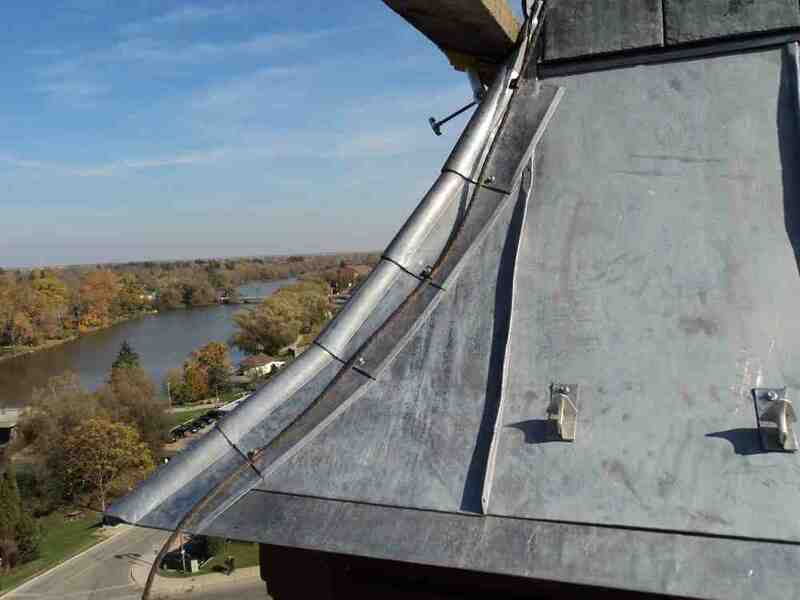 Original flashing details were replicated using lead coated copper and the new slate tile coursings were installed to match the original sequencing. 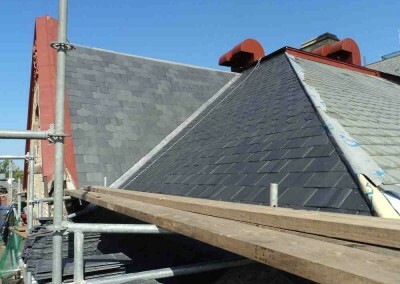 Careful planning was put into place to ensure the Court proceedings could carry on throughout the duration of slate removal and installation. 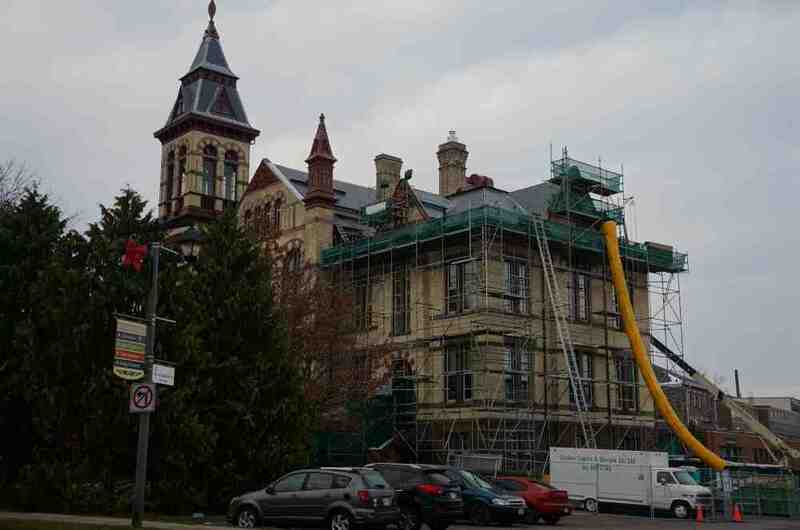 While roofing activities progressed masonry repairs and brick replacements were completed in areas that could take advantage of the scaffolding erected for the roof replacement. 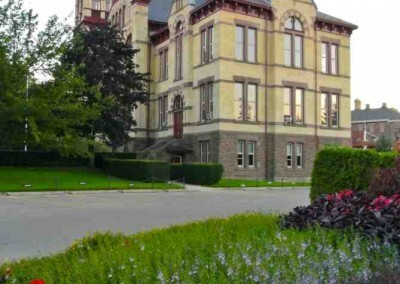 The final copper nail was driven into the last slate in 2013. 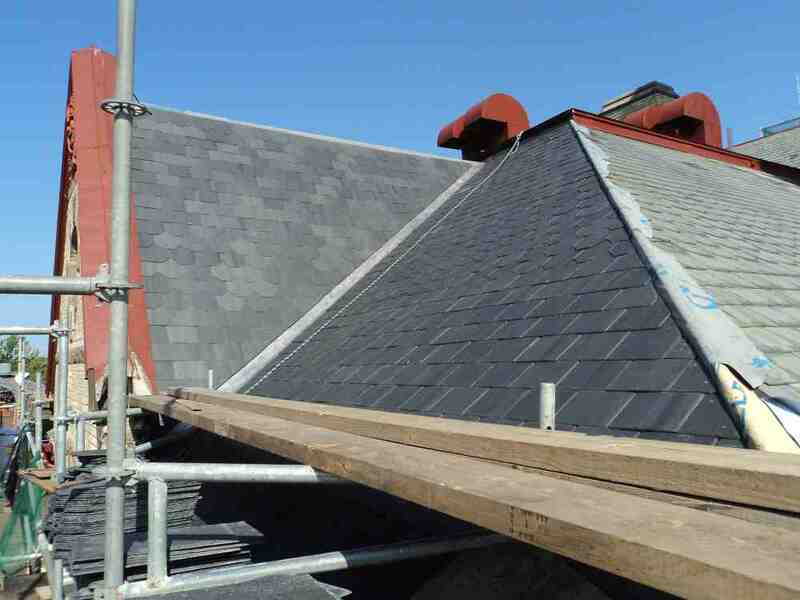 The new slate tile roofing system maintains the beauty of the facility and is anticipated to serve the building for at least another 100 years.